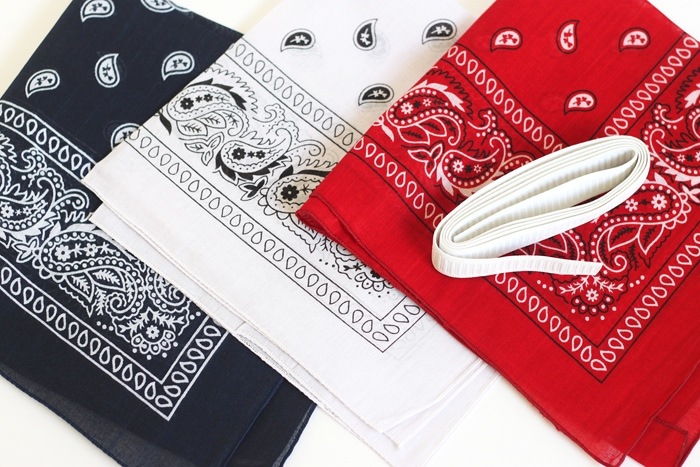 Bandanas are always a hot summer trend, especially for 4th of July. 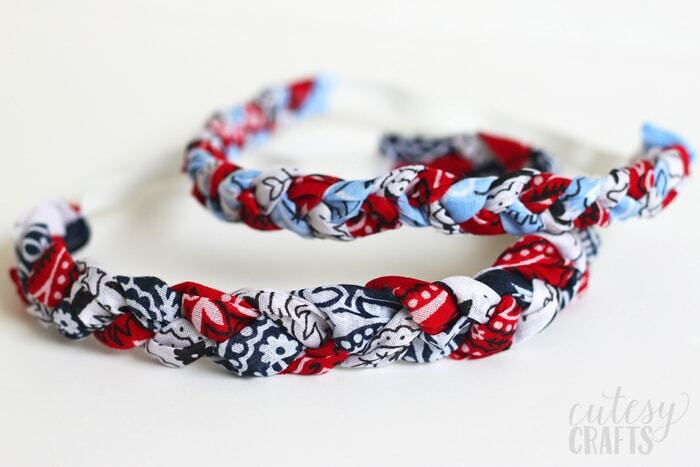 You know how much I love making hair accessories for my girls, so I made them these red, white and blue bandana headbands to wear on the 4th of July. 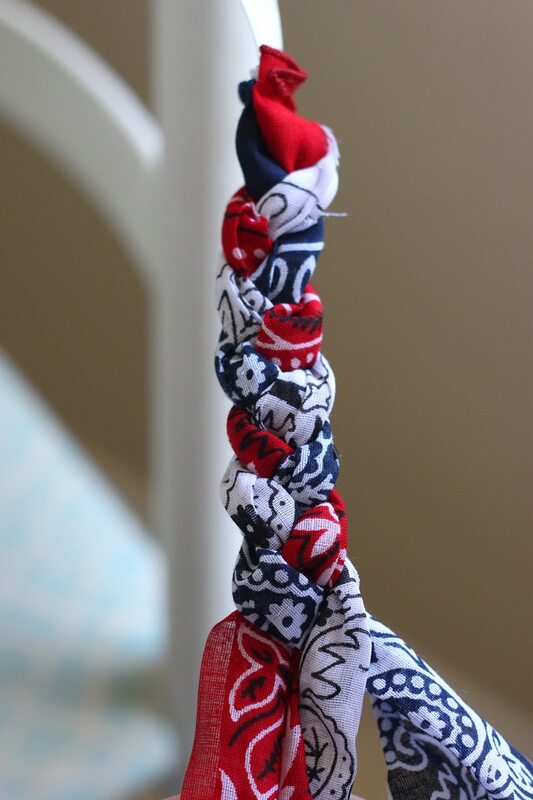 These are really easy to make and would be a great craft for your teen or tween to try out. The only things you need are bandanas and elastic. 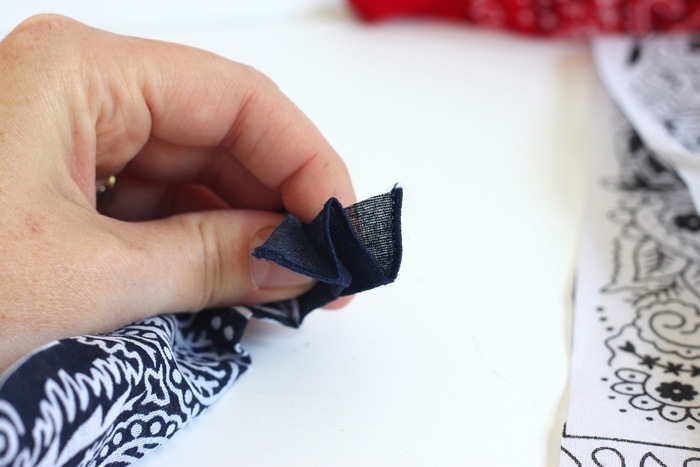 You can sew them or use hot glue to make them no-sew! 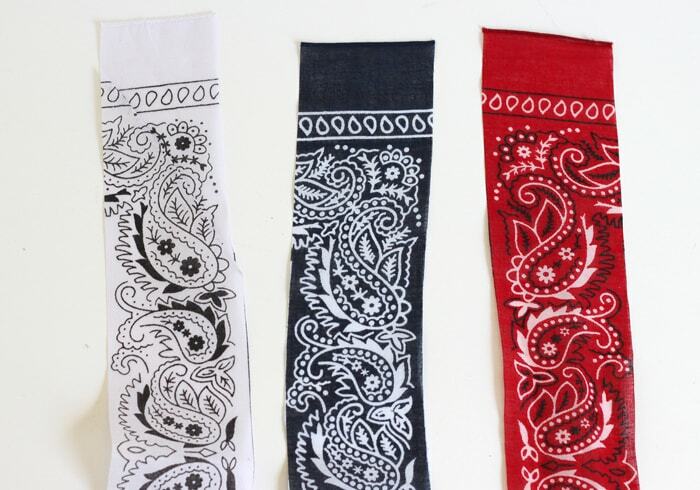 Cut a 3-inch wide strip from each bandana. Fold one end of each strip to make a “W” shape. 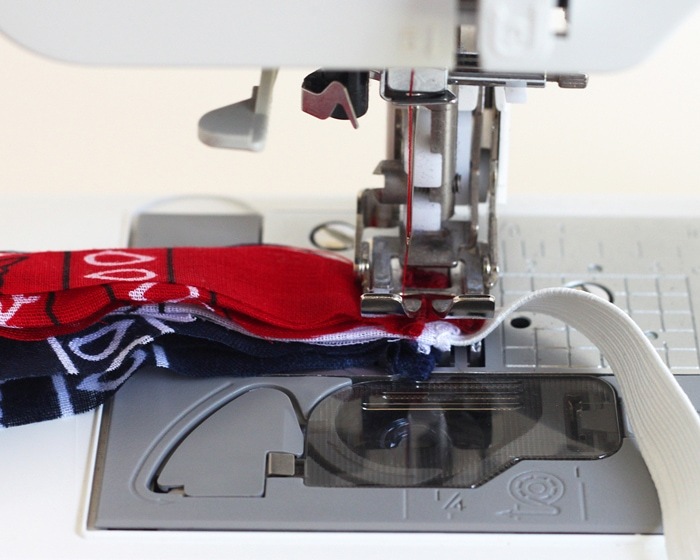 Stack all of the strips together and place one end of the elastic in the middle, like in the photo below. Braid the fabric together, just like you would braid hair. Make the braid tighter if you want a skinnier headband, and make it looser if you want a thicker headband. I tied the elastic around the back of a chair to keep everything steady while I braided. 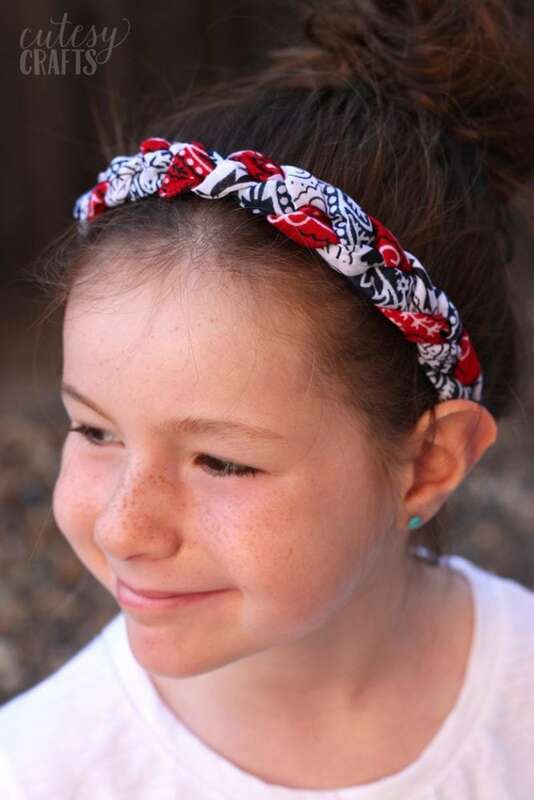 The length of your elastic will depend on the size of your bandanas and the size of your head. 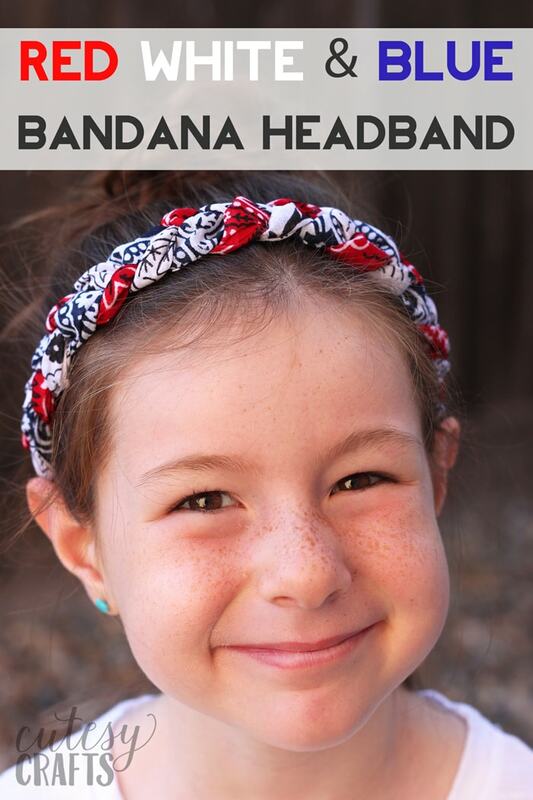 Try the headband on and trim your elastic to fit. 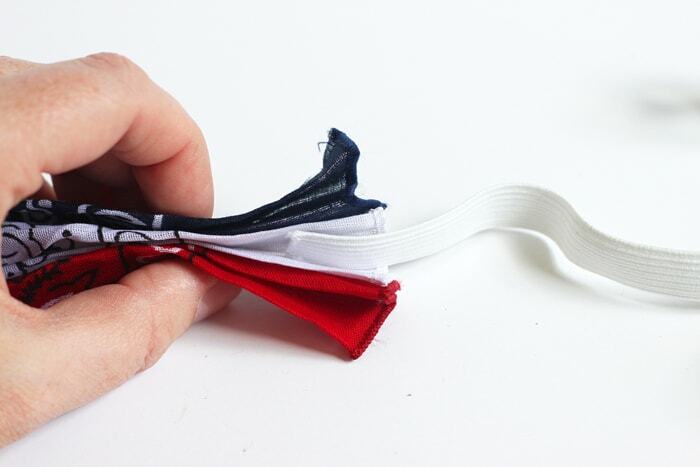 Sew the trimmed end of elastic to the other end of the headband like you did before. 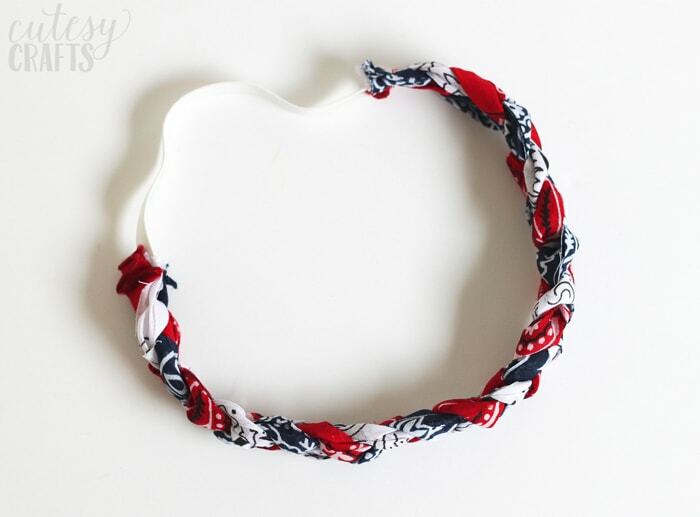 And you’ve got yourself a cute bandana headband for the 4th of July! They make such cute bandana fabric now, that you can make these in all kinds of colors and patterns. Ooh… a tie dye one would be so cute! 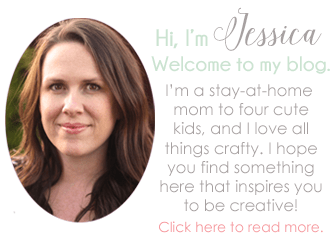 Be sure to check out all of my other 4th of July crafts too. Thank you for this fun project, modeled perfectly by your smiling little girl. Carol B.